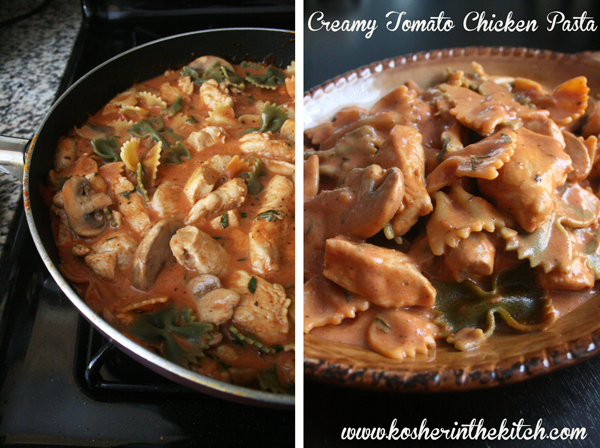 Creamy Tomato Chicken Pasta - Kosher In The Kitch! Creamy Tomato Chicken Pasta - Kosher In The Kitch! Combine chicken pieces, olive oil, paprika, black pepper and salt in a large zip lock bag. Shake well. Saute the chicken in a large pan until no longer pink. Add crushed tomatoes and mushroom slices. Cook until mushrooms are slightly tender then add the prepared pasta with the coconut milk, oregano and rosemary and mix well. Cook several minutes before serving. 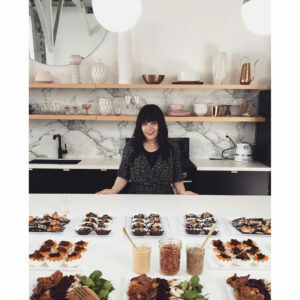 Is there something that you can substitute the coconut milk with? I’m allergic. Use soy milk or any other non dairy milk!